Are you local and often wondered why there are hundreds of people lining the Niagara River lookouts from mid-November through December? Find out by joining avid birders, husband and wife team, Bob Highcock and Jean Hampson who have been our guides on this tour in the past. On a warm bus, they will lead us along the Niagara River to discover why it's been called a paradise for over wintering waterfowl and gulls. With limited walking this outing is excellent for young and old, experts and novices. Board our comfortable motor coach for a day of camaraderie and fun, stopping for a lovely lunch. With scopes and expert guidance meet the ducks, geese, gulls, vultures and swans, considered our most attractive and stunning wildlife. Bring your binoculars (if you have them) and cameras. 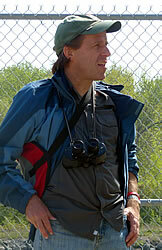 Bob Highcock is a keen birder that has assisted with many bird counts in the Niagara Region. He is the President of the Peninsula Field Naturalists Club and author of the birding blog, Tales of the Nishiki. 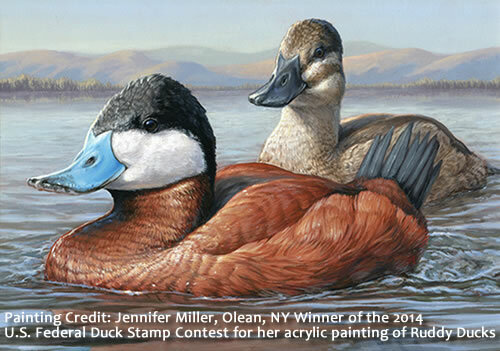 When he's not working in the science education industry, Bob can usually be found in the field with his wife Jean Hampson, searching for their next Niagara lifer bird or finding an interesting trail for a club outing. Jean Hampson graduated from Brock University with a science degree specializing in biology. In her career at the humane society, Jean was the go to person for bird identification. She is currently a member of the Peninsula Field Naturalists Club board of directors. 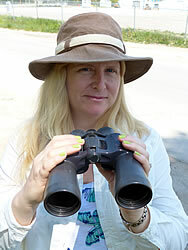 Jean enjoys birding in Niagara and beyond with her husband Bob Highcock and spotting lifers for their ever growing lists. We have beautiful Gift Certificates if you would like to give this fieldtrip, or a future outing as a gift. Don't forget our special for anyone booking 3 tours within the year, to be offered a 4th tour for free or at a greatly reduced price depending upon the tour. 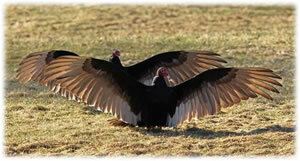 Note: Turkey Vulture photo is by Brian Morin, photo from the Ontario Field Ornithologists website, permission to use graciously provided by John Black.